In Mother Goose’s original nursery rhyme, the trio at sea got there by jumping out of a rotten potato. Mother G. also didn’t rate highly their options for surviving at sea. But that’s kids’ stuff. Buying shares in Russian transportation companies – rail, shipping, ports, containers – is a grown-up bet on the growth of the Russian economy. If gross domestic product (GDP), crude oil prices, real and disposable income are all rising, then it’s likely that moving container-loads of goods inward to feed consumer demand will also grow. Terminals to unload and load the boxes should prosper. That, at least, is what Russian port promoters would have you believe. On current prospects, with first-quarter GDP growth at 4.1%, crude oil up by 24% (Urals, year to date), and imports surging 41% over last year, investors don’t have to be gulled. But there’s always the risk that the state officials who run the economy should get it into their heads that, if there is to be a dividend payable on the economic growth rate and a capital gain extracted from asset appreciation, they should be the ones to benefit – and not the likes of private shareholders. Nikita Mishin (left), Andrei Filatov (centre) and Konstantin Nikolaev (right) — the three men who own Global Ports Investments (GPI), the newest unit of their multi-modal transportation group – have had long experience of managing the state tribute and takeover risks to their business. They were behind the appointment of the federal Transport Minister, Igor Levitin, in 2004, and he has been a bulwark of support. Despite intense competition from the state-owned Russian Railways (RZhD) group, the trio, who reportedly hold equal one-third shares in their control holding, Transportation Investments Holding Ltd. (TIHL), were able to list their rail unit, Globaltrans, on the London Stock exchange in April of 2008, albeit at hefty discounts of up to 50% of the share prices of their peers in the global transportation sector, and in the emerging market segment of that market. The Globaltrans discount is one indicator that the investment markets understand the risks to Russian transportation companies. So what do Mishin, Filatov and Nikolaev have to say about the risks for potential sharebuyers in the Global Ports International IPO? The preliminary answer is nothing at all, because GPI isn’t agreeing to disclose its prospectus. Its investor relations spokesman, Priit Pedaja, is also refusing to answer questions about GPI’s Russian competitors and the principal risks to its business strategy. At this point, all that GPI is disclosing on its website and to investment institutions is a promotional brochure on the container and ports businesses they operate in St. Petersburg, Vostochny, and Finland. But if you examine the revenue and earnings figures reported on the company website, and relate them to the target price range for the GPI shares and General Depositary Receipts (GDRs) to be sold, you can calculate that the IPO offer price represents between 8 and 9 times earnings (P/E). GPI’s cargo terminals are located in the Baltic Sea and Sea of Japan and Pacific Ocean basins, according to a company statement, “which constitute key gateways for Russian container imports and exports and oil products exports. Furthermore, the locations are at established ports that serve as regional logistic hubs with existing infrastructure and developed transport links. GPI operates three container port facilities in Russia (including Petrolesport and Moby Dik in the Big Port of St. Petersburg and VSC in Nakhodka), two container terminals in Finland, the largest(3) independent oil products terminal in the Baltic Sea Basin (Vopak E.O.S.) and one inland terminal (Yanino) in the St. Petersburg region.” The Russian ports, which are wholly owned by GPI, account for about 60%of GPI’s revenues ; the Finish ports, just 5%. The Vopak oil moving business, based at Muuga port in Estonia, provides the remaining revenues, or about 34%. 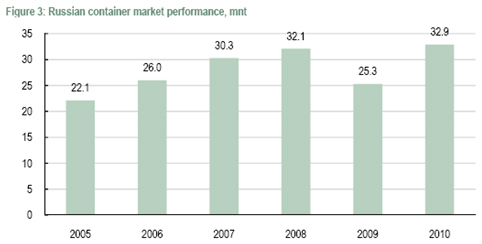 This table was prepared by Renaissance Capital in its report on Globaltrans of August 2008. As can be seen in that case, as the bad times got worse, Globaltrans’s P/E slipped from 16.2 in 2008 – even then a 24% discount to its global peers – to 6.6 in 2010 (estimated). Recent analyses of Globaltrans’s price and earnings this year indicate that its P/E is slipping between 7.9 to 6.3 on estimated 2011 and 2012 earnings. The current discount is between 10% and 20% below its peers. According to the Global Ports International website, GPI’s earnings (Ebitda) for 2010 came in at $391 million. The proposed target range for the IPO share pricing just released indicates a low of $14.70 per GDR and a high of $16.10 per GDR. Each GDR represents 3 ordinary shares; altogether, 35.5 million GDRs will be sold in the listing — about 29 million of them from the control shareholders. The total target for the proceeds is between $524 million and $572 million. The valuation the sellers are placing on their assets is between $2.2 billion and $2.4 billion. Deutsche Bank, Morgan Stanley, Goldman Sachs, and Troika Dialog are the hawkers for the sale. If you calculate the price/earnings ratio (P/E) for Global Ports International on the basis of the GDRs, then the P/E multiple Mishin et al. are demanding from the market is between 8 and 9. That appears to be substantially more than they are getting for Globaltrans. Is there good reason why investors should give DPI a benefit of this magnitude for their doubt? Preliminary reporting from the London market this week claims the initial IPO offer price amounts to a 28% discount already, based on the midpoint of several analyst valuations. There is no trace of those, and since there has been little Russia risk analysis of GPI by Moscow-based houses, these valuations appear to have been unrealistic. So the purported discount is likely to be no discount at all. The selling line provided by GPI’s Mishin is this: “By listing in London our aim is to provide investors with access to a fast-growing industry in one of the world’s most attractive emerging economies.” But how much of the share sale will go into his pocket, and to his partners? GPI was asked to clarify what these words mean – what amount of the proceeds of the share sale the company will get for investment, and what exactly its plan of investment is. There has been no reply. But it appears that, in common with several earlier Russian IPOs, which ran into heavy scepticism from London buyers early in the year, the control shareholders want to take the lion’s share of the cash for themselves – at least $424 million, or 81% of the sell-off. Once they have sold, and the underwriters decided what extra they wish to buy for themselves, the free float will amount to about 25%. 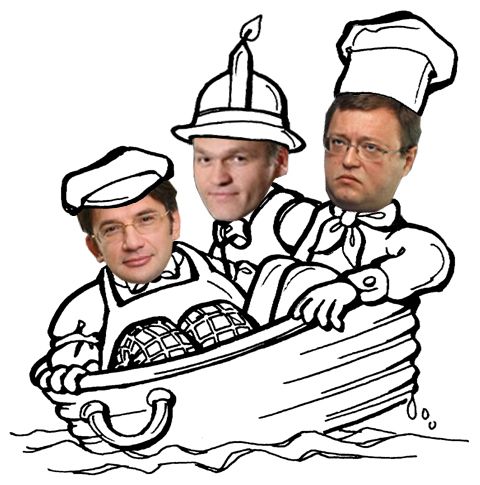 Mishin, Filatov, and Nikolaev will each keep a 25% stake for themselves. GPI started out in 1996 as a defensive asset belonging to the steel oligarch, Alexei Mordashov. It was the time when he and the other oligarchs felt they required control of their downstream transportation assets, fleet and ports, in order to make sure that no rival could block their goods getting to their export markets. At that time, the transportation group was called Severstaltrans. Mordashov let go, and sold the group to his friends, Mishin et al, and in 2008, they renamed the company N-Trans. That name hasn’t exactly stuck, and after the rail unit was spun off and listed as Globaltrans, the port and container unit was given its present name. Here are the business facts, as the company presents them. Noticeable by its absence from the company’s documents, and withheld at the moment by GPI’s investment relations and press offices, are details of DPI’s principal Russian competitors. These include the newly reorganized Novorossiysk Commercial Seaport Company — for the time being, the only London listed Russian port company, with the largest container terminal on Russia’s Black Sea coast. That was the target of a swift and effective, state-backed takeover in October of last year. The principal attackers in that story were Transneft’s Nikolai Tokarev and Summa Capital’s boss, Ziyavtdin Magomedov. Other rivals for GPI are the National Container Company (NCC)), owned by the Yuzhilin family; and the state-owned Russian Railways group (RZhD), run by Vladimir Yakunin, and its two cargo units – Freight One and Transcontainer. 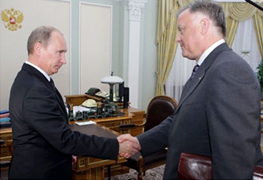 Already documented is the fierce competition between Yakunin and the Far Eastern Shipping Company (Fesco) owner, Sergei Generalov, for eventual control of Transcontainer. Yakunin’s ambitions for RZhD’s stakes in the container ports business are no secret. He has signed memoranda of understanding with North Korea to build a new container terminal on the Sea of Japan; and with Dubai Ports World “for studying the possibilities of development of port container terminals and a railway infrastructure in Russia and other countries for the purpose of granting of highly effective logistical services and increase in goods traffic.” Dubai Ports is a minority shareholder in GPI’s majority-controlled Vostochny terminal. At Vostochny too, GPI faces potentially fresh competition from Summa Capital, disclosed only days ago, when Summa announced a scheme to build a 15-million tonne per annum coal terminal on the eastern shore of Wrangel Bay, to compete with other coal outlets along the Russian shore of the Sea of Japan. After commissioning a study of port handling capacities in the fareast, Marat Shaidan, the operational head of the holding for Magomedov, claimed that Summa has already bought the land, and is now looking for $300 million in financing, plus commitments from the RZhD to build the required rail track to the new port. This plan appears to be competing for state backing with GPI, which had already announced its own new coal terminal scheme for Vostochny. An inside source at GPI admitted today: “Transcontainer and Freight One are competitors for Global Ports, but it’s not that clear with Summa yet”. In the not so distant past, GPI has also admitted that it fought for control of the Vladivostok port container terminal with Generalov, and ended up in May 2008 losing out. Fesco paid N-Trans $200 million to take full control of the Vladivostok Container Terminal (VCT) company. 􀂃 High customer-base concentration. Globaltrans’s seven largestcustomers account for around 70% of its adjusted sales. The deterioration of business relations with any of these could significantly affect the company’s cash flow. railcars and, consequently, the cost of expansion for Globaltrans, and impede the company’s organic growth. 􀂃 Below-expectation tariff growth. The government could become overcommitted to fighting inflation and limit future tariff increases, which would negatively affect Globaltrans’s revenues and margins. These risks apply with no less force and cost today to Global Ports International. By concealing the IPO prospectus, and refusing to say what its business strategy and competitive risks are, Mishin, Filatov and Nikolaev are in effect conceding that the less the London market understands of the problems facing GPI, the better the share sale will go. Another high-ranking executive in the ports sector disagrees. He believes Mishin and his partners are selling shares in part to take cash off the table for themselves; in part to raise a future takeover price, if a raid is started; and in part to meet the cost of financial contributions he suspects they have already been asked to support. His hunch, he says, is that there is a threat from Summa Capital, and that one way to deal with it is to buy it off. Magomedov at Summa Capital, now chairman of the Novorossiysk port company board, does not respond to requests for comment on his maritime interests. The recent confirmation of Yakunin’s position may also add to GPI’s risk picture. Yakunin, boss of bosses at the railways for over a decade, has been under heavy fire himself in faction-fighting over whether his RZhD contract would be renewed. It formally expired last Friday. On Saturday, June 11, this is what Putin said, opening a meeting with Yakunin. It can be seen that Putin made no mention of privatization, private-state competition in the rail sector, or indeed of container and other cargo corporatisation as such. Cargo movement was downplayed in favour of passenger rail priorities – understandable in relation to the impending parliamentary elections and to the priority for finishing the Sochi Olympic Games on time. But until Yakunin’s appointment was finalized, everything else — including the sale of the control stake in Transcontainer, and the proposed consolidation of that with Freight One — was on hold. How Yakunin’s new grip on power will affect GPI’s investment plans isn’t clear. Sechin backed the Novorossiysk port takeover. Also, he has recently been talking to Vladimir Lisin, the second steel oligarch to be spinning off his transportation and port assets in Universal Logistics Holding (UCL). What difference these negotiations will make to GPI’s market shares, revenues and earnings is an obvious question, and so it was put to the GPI roadshow presenters, led by Pedaja. It is obvious that if Sechin and Yakunin can agree to combine Transcontainer and Freight One in a single privatization sale next year, the price will be a high one – higher perhaps than Generalov’s Fesco group was hoping for, but something Globaltrans and the Mishin partnership will want to bid for. Russian press reports this month have indicated that Globaltrans would consider offering $6 billion for 75% of the combined freight company, including its container operations. Mishin, Filatov and Nikolaev must be counting their coins in anticipation. As partners with Gennady Timchenko in the latter’s oil-moving railway company Transoil, arguably they may have the inside track. But Pedaja and GPI won’t answer any of the Russia risk questions. It also seems that investment institutions invited to the London roadshow this week, and in the limited circulation of the prospectus, didn’t know enough about Russian maritime politics to ask them.